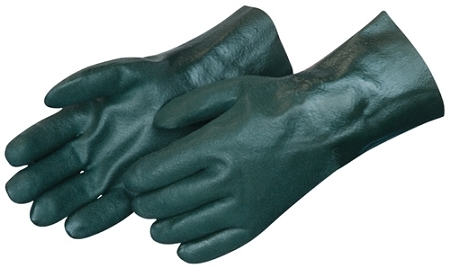 Dark green PVC glove. One pair. Men's size Large. 12" length. Gauntlet cuff. PVC fully coated, double dipped, sandpaper finish. Jersey lined. Chemical resistant. Made in China.